Also see this new article, 6 major problems with a flat earth from The logic of science. We know that planets are spherical, not flat. Gravity causes matter to pull inwards, eventually into a spherical shape. This happens for stars, planets, moons and even some asteroids. Conspiracism is neither a healthy expression of skepticism nor a valid form of criticism; rather it is a belief system that refuses to obey the rules of logic. These theories operate from a pre-existing premise of a conspiracy based upon careless collection of facts and flawed assumptions. What constitutes “proof” for a conspiracist is often more accurately described as circumstance, rumor, and hearsay; and the allegations often use the tools of fear—dualism,demonization, scapegoating, and aggressively apocalyptic stories—which all too often are commandeered by demagogues. As far back as the Greek philosophers Pythagoras (6th century BCE) and Parmenides (5th century BCE) it was recognized that the Earth is spherical. How can we show that our world is spherical? If the Earth is a flat disc then there is no south pole, only a north pole see image above. So as this 2D, flat Earth rotates, we’d see all stars circling around Polaris, the “pole star.” People would see that from anywhere on this supposed flat Earth. In contast, on a 3D spherical Earth, there’d be two poles; from the north pole we’d see the pole star, and northern hemisphere stars seeming to circle around it. Yet from the south pole, Polaris wouldn’t be visible. Instead, we’d be looking at the opposite side of the sky – stars on the other side of our galaxy (imagine the galaxy sliced through it, like a sandwich) We’d see these other stars seeming to circle around the point over the southern pole. This has been tested countless times. Visitors to the poles have taken photos. What did these see? On a flat, circular, 2d world: both photos would show same stars in the sky, with the north star being focal point. On a spherical world: one photo shows the north star, and neighboring stars, and other shows the opposites. And that indeed is what we see. Aristotle noticed that during lunar eclipses (when the Earth’s orbit places it directly between the Sun and the Moon, creating a shadow in the process), the shadow on the Moon’s surface is round. This shadow is the Earth’s, and it’s a great clue on the spherical shape of the Earth. If the Earth was flat, then occasionally people would have seen Earth’s shadow, like on this (obviously fantastic) image. Since the earth is rotating (see the Foucault Pendulum for definite proof), the consistent oval-shadow Earth produces in each and every lunar eclipse proves that Earth is not only round but spherical. Approaching ships do not just “appear” out of the horizon – like they should have, if the world was flat – but rather emerge from beneath the sea. Here is an actual photo of ships coming towards Galveston, Texas. Note that the ships further away are “hull down”; their hulls are hidden by the curvature of the Earth. This observation was originally made by Aristotle (384-322 BCE), who declared the Earth was round judging from the different constellations one sees while moving away from the equator. After returning from a trip to Egypt, Aristotle noted that “there are stars seen in Egypt and…Cyprus which are not seen in the northerly regions.” This phenomenon can only be explained if humans were viewing the stars from a round surface. The farther you go from the equator, the farther the ‘known’ constellations go towards the horizon, and are replaced by different stars. This would not have happened if the world was flat. Click this image to enlarge: the sky in the southern hemisphere looks completely different from the sky in the northern hemisphere. If you stick a stick in the (sticky) ground, it will produce a shadow. The shadow moves as time passes (which is the principle for ancient shadow clocks). Eratosthenes (276-194 BCE) used this principle to calculate the circumference of the Earth quite accurately. Standing in a flat plateau, you look ahead of you towards the horizon. You strain your eyes, then take out your favorite binoculars and stare through them, as far as your eyes (with the help of the binocular lenses) can see. Then, you climb up the closest tree – the higher the better, just be careful not to drop those binoculars and break their lenses. You then look again, strain your eyes, stare through the binoculars out to the horizon. The higher up you are the farther you will see. Usually, we tend to relate this to Earthly obstacles, like the fact we have houses or other trees obstructing our vision on the ground, and climbing upwards we have a clear view, but that’s not the true reason. Even if you would have a completely clear plateau with no obstacles between you and the horizon, you would see much farther from greater height than you would on the ground. Planes can travel in a relatively straight line a very long time and not fall off any edges. They can also circle the Earth without stopping. If you look out the window on a trans-Atlantic flight, you can, most of the times, see the curvature of the earth in the horizon. You can absolutely see the earth’s curvature if you’re at altitude, particularly over the ocean in a plane. At sea level, you can only see about 3 miles. The average angle of human vision is somewhere between 120º and 140º; more if you count the whole image your brain builds up as your eyes move. Which is a teeny number. According to Wikipedia, at 33,000 feet, the curvature is a whopping 5.6∗10 −2 “the same curvature of the rim of circle with a radius of 10 m that is viewed from 56 cm”. In view of the agreement between the visual observations, measurements of the photographs, and the theoretical curvatures, it seems well established that the curvature of the Earth is reasonably well understood and can be measured from photographs. The threshold elevation for detecting curvature would seem to be somewhat less than 35,000 ft (10.6 km) but not as low as 14,000 ft (4.2 km). Photographically, curvature may be measurable as low as 20,000 ft (6 km). There are certain characteristics all planets have, and it will be quite logical to assume that if all planets behave a certain way, or show certain characteristics – specifically if those planets are in different places or were created under different circumstances – our planet is the same. In other words: If so many planets that were created in different locations and under different circumstances show the same property, it’s likely that our own planet has the same property as well. All of our observations show planets are spherical (and since we know how they’re created, it’s also obvious why they are taking this shape). Unless we have a very good reason to think otherwise (which we don’t), our planet is very likely the same. In 1610, Galileo Galilei observed the moons of Jupiter rotating around it. 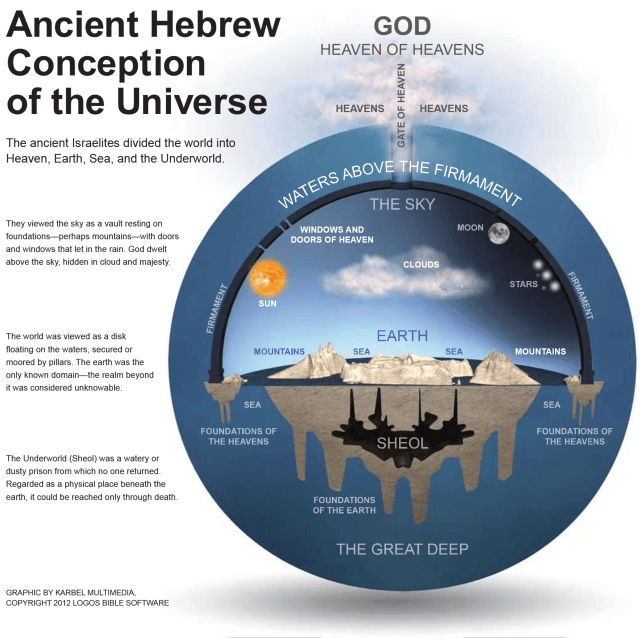 He described them as small planets orbiting a larger planet – a description (and observation) that was very difficult for the church to accept as it challenged a geocentric model where everything was supposed to revolve around the Earth. The time in New York, at the moment these words are written, is 12:00pm. The sun is in the middle of the sky (though it’s hard to see with the current cloud coverage). In Beijing, it’s 12:00am, midnight, and the sun is nowhere to be found. In Adelaide, Australia, it is 1:30am. More than 13 hours ahead. There, the sunset is long gone – so much so, that it’s soon going to rise up again in the beginning of a new day. This can only be explained if the world is round, and rotating around its own axis. At a certain point when the sun is shining on one part of the Earth, the opposite side is dark, and vise versa. That allows for time differences and timezones, specifically ones that are larger than 12 hours. There’s an interesting fact about mass: it attracts things to it. The force of attraction (gravity) between two objects depends on their mass and the distance between them. Simply said, gravity will pull toward the center of mass of the objects. To find the center of mass, you have to examine the object. Consider a sphere. Since a sphere has a consistent shape, no matter where on it you stand, you have exactly the same amount of sphere under you. (Imagine an ant walking around on a crystal ball. From the insect’s point of view, the only indication of movement would be the fact the ant is moving its feet. The shape of the surface would not change at all.) A sphere’s center of mass is in the center of the sphere, which means gravity will pull anything on the surface toward the center of the sphere (straight down) no matter where it’s located. Consider a flat plane. The center of mass of a flat plane is in its center (more or less – if you want to be more accurate, feel free to do the entire integration process), so the force of gravity will pull anything on the surface toward the middle of the plane. That means that if you stand on the edge of the plane, gravity will be pulling you toward the middle, not straight down like you usually experience. In the past 60 years of space exploration, we’ve launched satellites, probes, and people to space. Some of them got back, some of them still float through the solar system (and almost beyond it) and transmit amazing images over to our receivers on Earth. And in all of the photos, the Earth is (wait for it) spherical. 11. We have a whole article on this simple way to prove that the Earth is curved. Anyone can do it themselves when they view the power transmission towers at Lake Pontchartrain, near New Orleans, Louisiana. Abū Rayḥān Al-Bīrūnī (973 – 1048 CE), known as Al-Biruni (Arabic: البيروني‎‎) was a Khwarezmian Iranian Muslim scholar and polymath. He is regarded as one of the greatest scholars of the medieval era and was well versed in physics, mathematics, astronomy, and natural sciences, and also distinguished himself as a historian, chronologist and linguist. He spent a large part of his life in Afghanistan. He is regarded as the “father of geodesy” for his important contributions to that field. Abu Rayhan al-Biruni accurately determined the Earth radius by formulating a trigonometric equation relating the dip angle (between the true horizon and astronomical horizon) observed from the top of a mountain to the height of that mountain. This is a physical effect which we see in the real world, which is absolutely impossible on a flat surface. It can only occur on a three-dimensional sphere. For our unit on the Coriolis effect see Coriolis effect on Kaiserscience. If you take great care to photograph the horizon right through the center of your lens with your camera very carefully leveled and at high resolution with a very high quality rectilinear lens you can actually view the slight curve of the horizon from much lower altitudes (even just a few hundred meters). From just 200 meters elevation, on a 4000 pixel wide image at 94.4 degree field of view you should expect about 7 vertical pixels of rise out of the horizon circle (as shown in my calculator link). You can make this slight ‘bump’ more visible by compressing the width of the image to about 10% of the original width and stretching it vertically by a factor of 2–4x. And since the horizon is below lens center we’re not seeing lens distortion, which would flatten out the horizon. It would be difficult to tell, in general, from a simple photograph if what you are seeing is actual curvature or lens barrel (aka curvilinear distortion). You have to know how it was shot and cropped and what the FOV is. If you have an uncropped image and the horizon goes through the exact center, then you can judge that photography as likely fairly accurate. Click on this image to embiggen: it clearly shows that even when Chicago is visible from across the Great Lakes, most of the city is still under the horizon. 8.MS-ESS1-2. Explain the role of gravity in ocean tides, the orbital motions of planets, their moons, and asteroids in the solar system. ● Ask questions that arise from careful observation of phenomena, or unexpected results, to clarify and/or seek additional information. ● Ask questions that arise from examining models or a theory, to clarify and/or seek additional information and relationships. …Gravitational interactions are non-negligible, however, when very massive objects are involved. Thus the gravitational force due to Earth, acting on an object near Earth’s surface, pulls that object toward the planet’s center. Newton’s law of universal gravitation provides the mathematical model to describe and predict the effects of gravitational forces between distant objects. These long-range gravitational interactions govern the evolution and maintenance of large-scale structures in the universe (e.g., the solar system, galaxies) and the patterns of motion within them….